Showroom Shorts is an exhibition of independent short films held on a monthly basis at the Showroom Cinema Bar. The vent is made up of two 40 minute sessions which aim to create a relaxed and welcoming atmosphere. Showroom CInemas say this about the event "We bring you the best in films that are made in the local area, as well as award-winning and interesting short films from further afield". Best of all, Its free to attend and to submit your own work. For more info visit the showroom website. 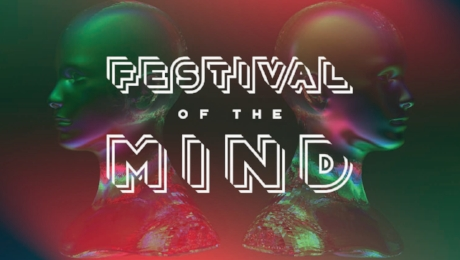 Make the most of the Festival of the Mind before it finishes at the end of month. Our two picks of the remaining events are virtual reality based 'Dancing with Robots' and 'RIOT'. Dancing With Robots - "Sheffield Robotics study the way humans work in order to make better robots. This breathtaking performance, featuring robots alongside human dancers, offers an entertaining glimpse of the future. It’s interactive too. Using our special magic button, the audience decides what happens in the story of four-year old Jorge and his robot friend Nao." RIOT - "Could you survive a riot? This immersive adventure for the mobile web uses 3D audio and facial recognition software to create a volatile environment where you will encounter looters, activists and police officers. Whether or not you reach home alive depends on how you react". Sheffield Jazz are the people responsible for bringing the very best of national and international jazz artists to the city for more than 35 years. Throughout the Autumn they will be organising a series of live events to compliment to city's fantastic live music scene to give more people opportunity to access a unique and exciting art form. Russell is particularly excited about this as he is a self proclaimed jazz fanatic. For more information visit the Sheffield Jazz ticket site.